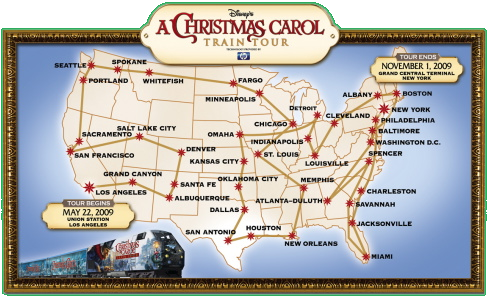 A train tour that will go cross country for "Disney's A Christmas Carol", starting on May 22nd in Los Angeles and ending in New York on November 1st. •A digital gallery of the film's characters and their design evolution; each portrait will digitally change and show how they were created. •Artifacts from the Charles Dickens Museum in London, including a first edition of the original novel and some of the author's personal writing paraphernalia. •A display of performance-capture technology, in which the real actors' movements and expressions are recorded and digitized, then used for animated renderings. 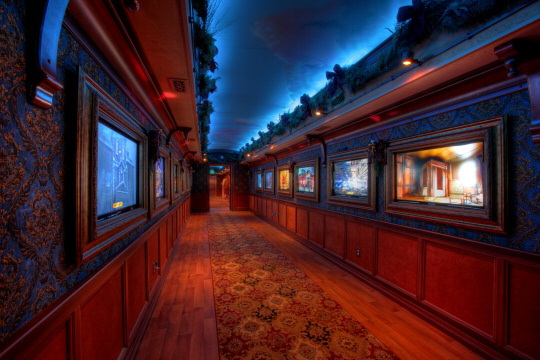 •Interactive games, including a face-morphing photo booth that will blend the visitor's visage with Scrooge's. I know it's only coming to Boston near where I live, but maybe I might give it a try! indy-jones wrote: I know it's only coming to Boston near where I live, but maybe I might give it a try! You are from Boston??? I live near you! When is it coming to Boston? Actually cotton, I'm from Maine, but thanks for your concern! That's SO COOL. Thanx for that. Hope people enjoy. It doesn't take you around the USA. It doesn't move when you are on it. but how about when it goes to the different spots? That's what I am talking about, but I guess one would have to be famous or Jim to even be considered to ride along the U.S. I like the theater pic. 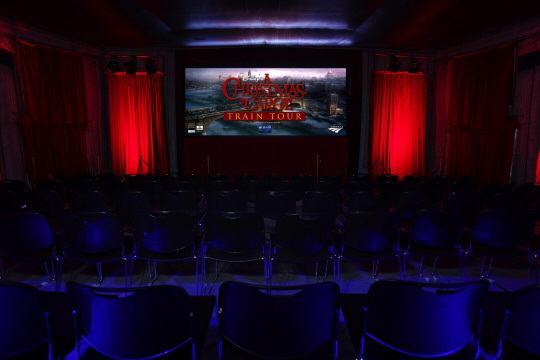 Almost like you can watch the actual film on a train! That would've been extra cool! 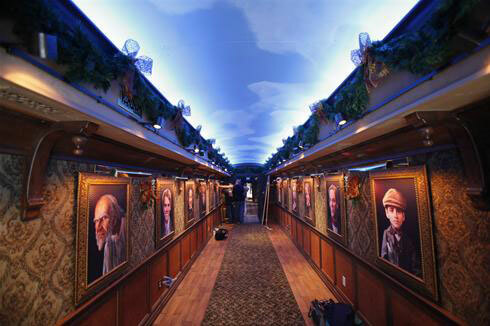 The whole train idea and it's traveling around the US is cool as it is. To bad unless I pay a train company good money my kids and I will never experince that. Bet it's awesome.